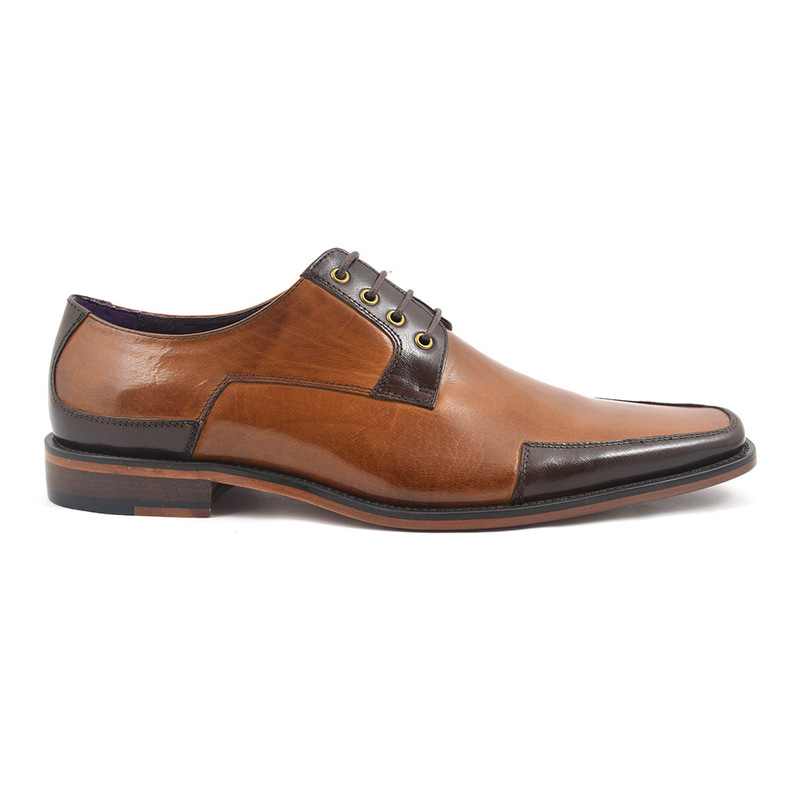 This mens tan brown derby is a lovely caramel leather and has panels in sumptuous dark brown. 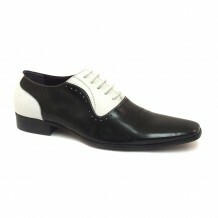 There is something quirky and cool about these mens lace up leather shoes. Many people like to know the difference between these and the answer is formality. 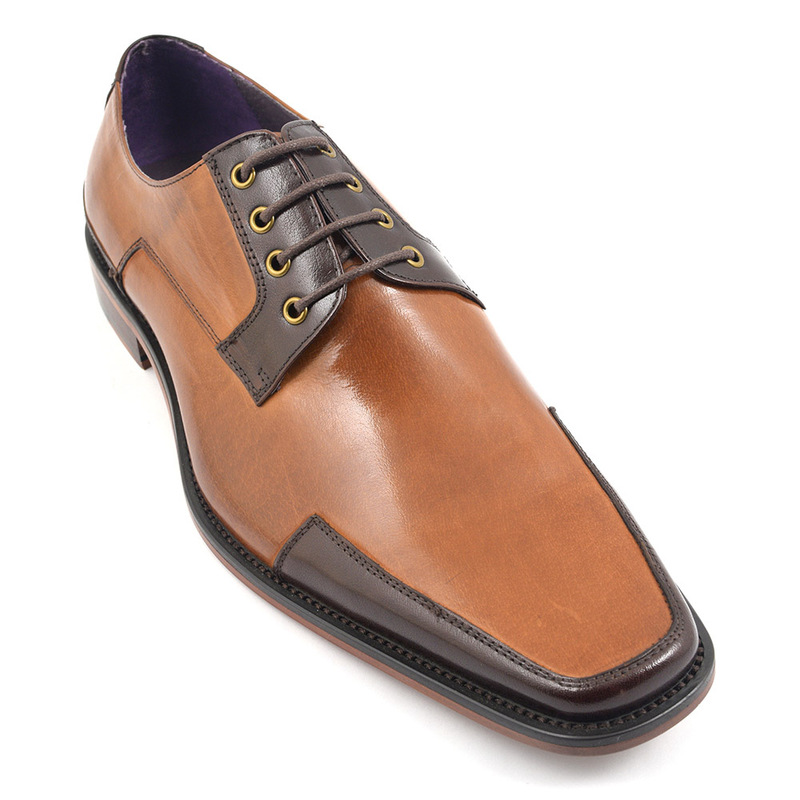 The oxford has closed laces and the derby has open flaps the eyelets are sewn into. Essentially, the oxford is much more formal and the derby originated as a country shoe. In fact, the reason for its existence was the King George IV asked his shoemaker to design a pair of shoes his large feet could get into easily! Over the centuries the mens derby shoe has become a more business affair as lets face it, trainers took the mantle of casual shoe. There is a cool video made by Gentlemens Gazette here for a visual explanation should you be so inclined. 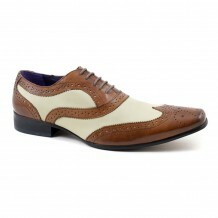 Be the first to review “Ludus Tan Brown Derby” Click here to cancel reply.